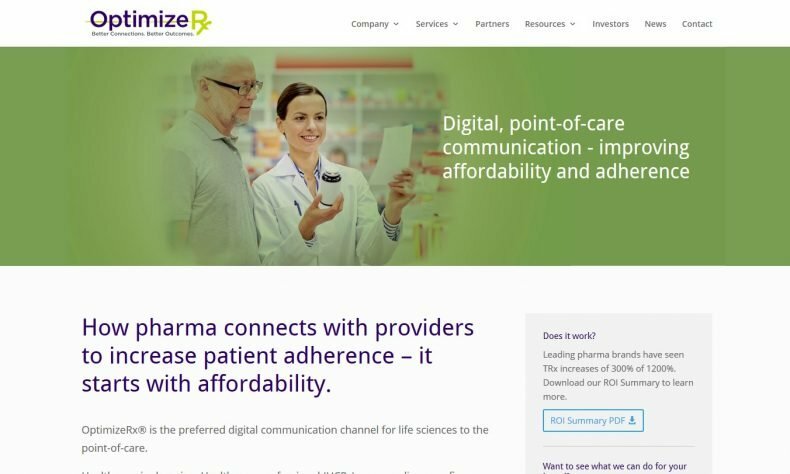 ROCHESTER—OptimizeRx Corp., the digital health messaging provider for the pharmaceutical industry, announced its latest platform integration with the health care industry’s leading acute electronic health record (EHR) systems, including Epic and Cerner. This latest announcement is a reflection of the company’s continued investment in hospitals and health systems, also emphasized in the latest company hiring of Denys Ashby as vice president of hospitals and health systems. Having accomplished this EHR connectivity, OptimizeRx is further investing in the hospitals and health systems landscape by adding Denys Ashby to focus on hospital sales. OptimizeRx expects these efforts to support its stated goal of an additional 20 percent reach to physicians by the end of 2019.